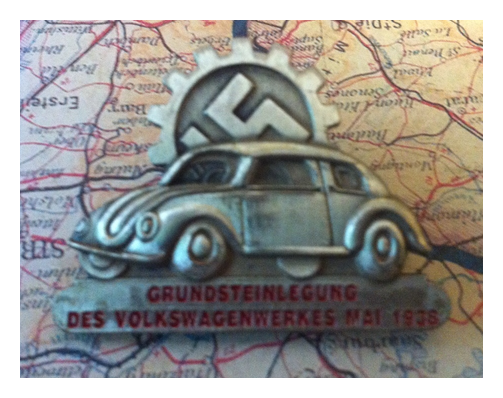 This is a 50 x 75 Deutsches Jungvolk flag manufactured by Otto Baier of Straubing. The size of this flag concerns me a little although I have found another example by this manufacturer on the tubes. I believe this to be an old fake as I just do not like the printing. 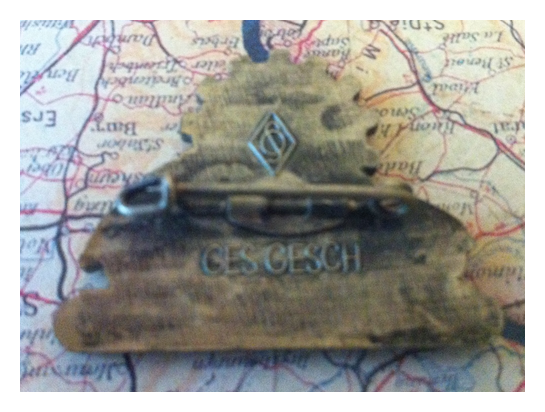 This is a copy of the The German Cross (German: Deutsches Kreuz). It was instituted by Adolf Hitler on 17 November 1941. 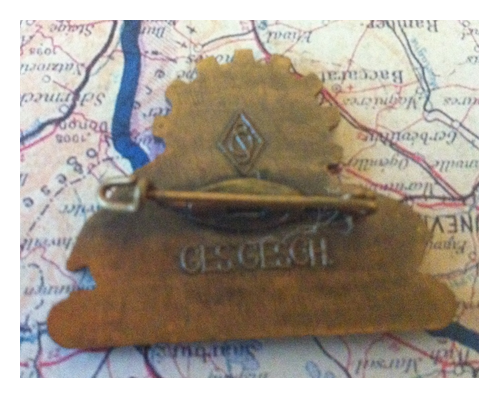 It was awarded in two divisions: gold for repeated acts of bravery or achievement in combat; and silver for distinguished non-combat war service. The German Cross in Gold ranked higher than the Iron Cross First Class but below the Knight’s Cross of the Iron Cross, while the German Cross in Silver ranked higher than the War Merit Cross First Class with Swords but below the Knight’s Cross of the War Merit Cross with Swords. These go for north of 2k now so a copy is all I’ll ever have. Here is my latest import, a Panzerfaust Klein round in terrific condition (too terrific, see below). The tube intended to fire this can be seen here. The tube was intended to be fired once and then discarded although at times they were collected and sent back to the factory to be recharged. This is not a rocket launcher, it is a recoilless gun. The projectile is thrust out of the tube using a gunpowder charge and only had a range of about 30m. It didn’t have the punch to destroy heavier armour and was later replaced by the Panzerfaust 30, Panzerfaust 60, Panzerfaust 100 and Panzerschreck. Upon exploring further it appears that I have added to my reproduction collection inadvertently. This is why I hate Jerry stuff. This one is indeed a repro that has been fiddled with in order to deceive. The originals were never painted on the shaft behind the charge container. This is an example of the newly issued Arctic Star. 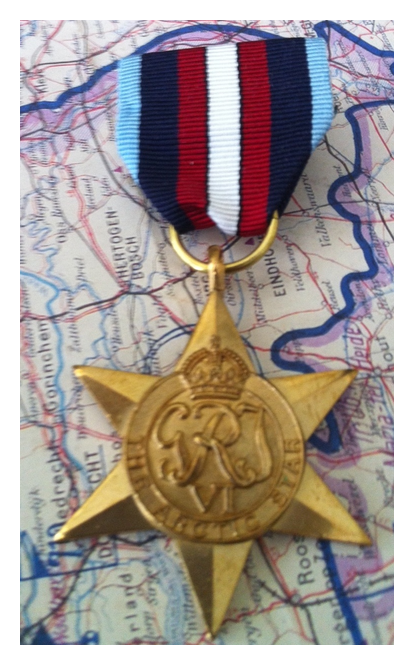 The Arctic Star is a campaign medal of the United Kingdom, awarded for service in World War II. The medal is awarded for any length of service above the Arctic Circle by members of the British Armed Forces and the Merchant Navy. The Arctic Star is a retrospective award, coming nearly seventy years after the end of World War II, being announced in late 2012. The Arctic Star was formally approved by The Queen, and began production in early 2013. There are not many of these out there yet as so few have been issued. Those that are sold through are generally part of a group. 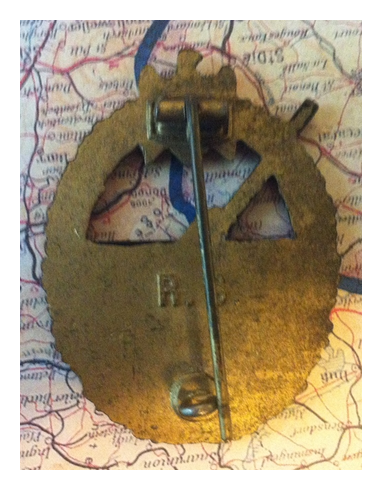 This is a reproduction made by a Birmingham company. 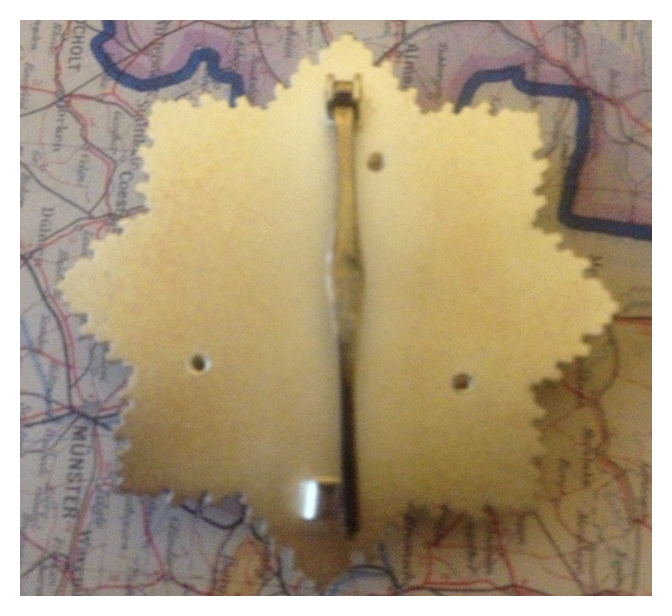 The indicators are the large ribbon ring as well as the way the VI do not intersect with the raised ring. 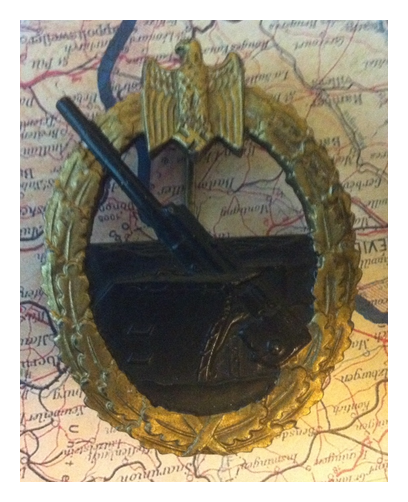 This badge, manufactured by Rudolf Souval, is the War Badge for land based artillery and anti-aircraft belonging to the Kriegsmarine (Kriegsabzeichen für Marineartillerie). Of course being manufactured by Souval, it’s just as likely to have been made yesterday, but in this case it is “consistent” with wartime manufacture. Meh. 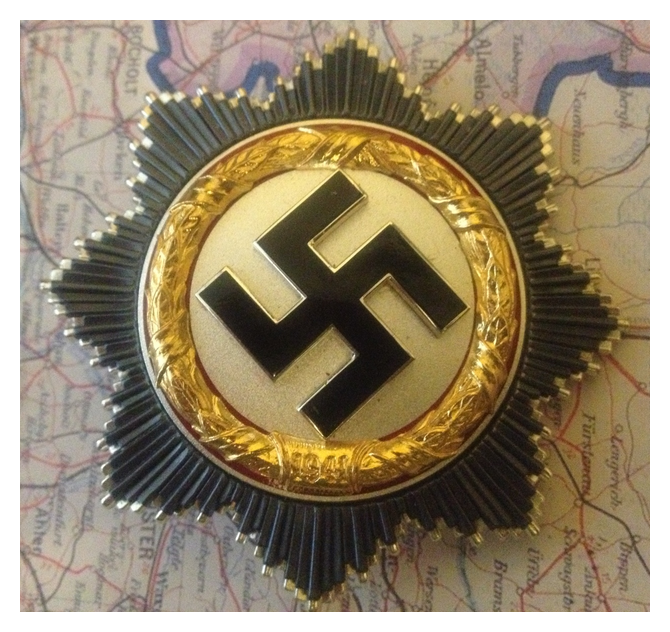 These two badges are common reproductions of this badge here. Don’t be fooled by these copies, the originals were always made from either a very light alloy or bakelite. 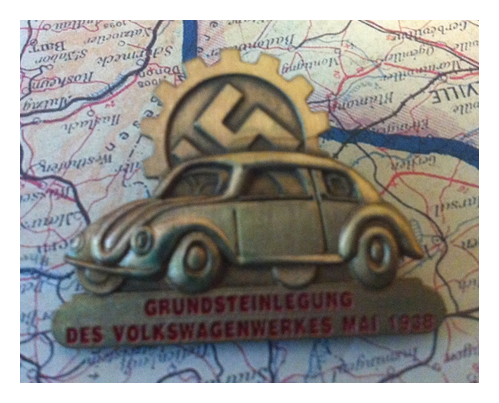 If the badge is any kind of heavier metal then it’s a fake. Weigh it in your hand. If it is difficult to even feel it there then it may be an original. 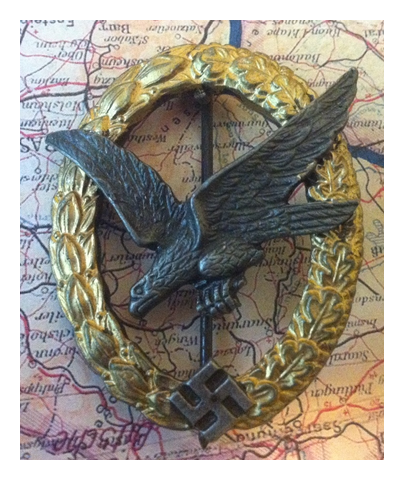 This is a German Luftwaffe Air Gunners War Badge. 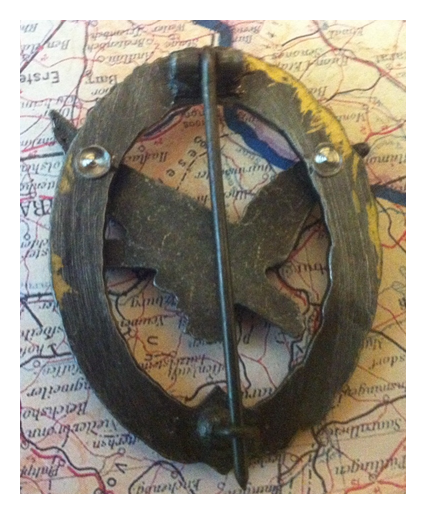 This one is unmarked and is definitely a post-war reproduction.